Seely Mint is a brand that not only makes mint products, but actually owns and operates the mint fields that the products come from. Located in the Pacific Northwest, The Seely family has been growing mint for generations. My favorite would probably be the Mint Melts. I love creamy mint flavor, and it sounds amazing. Made with simple ingredients like White Chocolate (sugar, cocoa butter, milk powder, whey powder, soy lecithin (emulsifier), vanilla extract), Seely’s pure spearmint and peppermint oils. 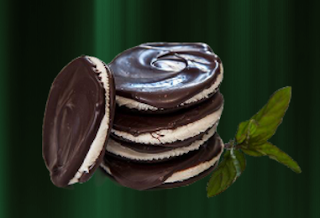 You can purchase Seely Mint products in some stores (check here) or online here.